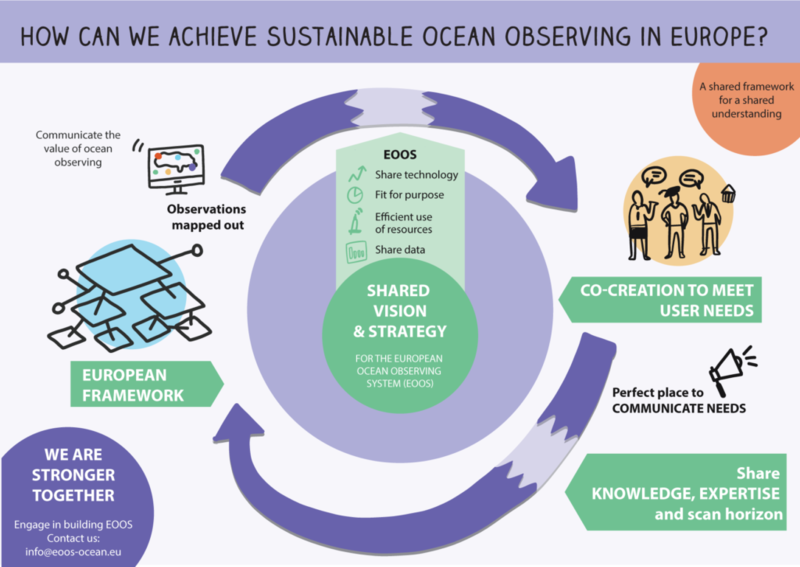 The European Ocean Observing System, EOOS, is a community-driven coordinating framework for Europe’s ocean observing capacity. EOOS will help linking the disparate components of the ocean observing system and promote shared strategies, infrastructure development, data standardization, open access, and capacity building. Ocean observing data and information are required to meet many societal challenges, from food security, to climate change, ecosystem health, or water management. Yet, the European in situ ocean observing capacity is still fragmented and broadly unsustained. While the space-borne ocean observations are funded through the Copernicus programme, in situ observations are supported through numerous short-term projects, with no guarantee of a long-term sustainability. Building on the existing initiatives, EOOS will foster a better integration and a stronger engagement across the different ocean observing sectors. EOOS will gather information on the infrastructure status and monitoring plans and discuss technology breakthroughs and funding priorities, helping to inform national and pan-European research programming. 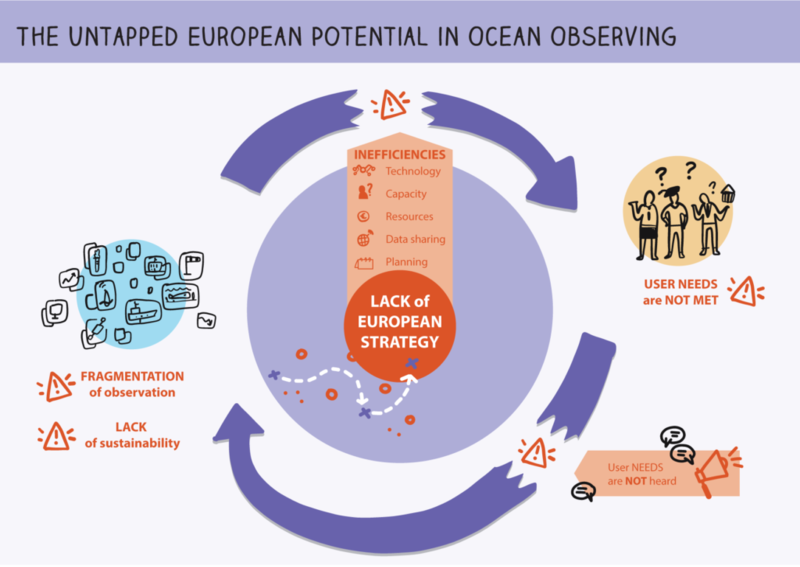 Critical to the EOOS success will be an open dialogue between ocean observing funders, implementers, and users – for a truly fit-for-purpose European ocean observing capability. EuroGOOS, together with the European Marine Board and many other partners, is strongly engaged in building the EOOS framework. EuroGOOS co-chairs the EOOS steering group, provides an EOOS secretariat, manages EOOS communications, and ensures the link to the global operational oceanography systems and GOOS. Email eoos [at] eurogoos.eu if you want to talk to the EOOS team at EuroGOOS.